If you didn't already know, December 1st is World AIDS Day. In doing a little background checking on this, it's hard to believe that 2008 marks the 20th anniversary of World AIDS Day. From a medical standpoint, I think that we've made some great strides in this area. From a social and cultural standpoint, I remember the attitude around in the mid-1980s to HIV/AIDS - mainly because medicine didn't know a lot back then. Tapping into the pulse of America back at that time inspired movies like Philadelphia and And The Band Played On. I am a 20-year survivor living with AIDS, and another World AIDS Day (Monday) is fast approaching. Food trays once left at hospital room doors of those dying from AIDS are now being served. The preventative measure of "gown ing-up" has come and gone. However, the stigma of AIDS has stayed unchanged. Sadly, there are conflicting AIDS transmission fears and infection rates spiraling out of control. I am blessed in that I am still here, with thinning hair, bifocals and my AARP card in hand. I am living proof of the incredible medical strides made in managing HIV/AIDS. I am blessed in living to see nieces and nephews come into my world and bring forth great-nieces and great-nephews. I am blessed in that I continue to continue. I still grieve for the many friends I've lost to AIDS. This year, another 56,000-plus Americans will become needlessly infected with HIV/AIDS. We know how to prevent HIV infection. We need to wage a War on AIDS in America. We know how to win it. As I said above, from a medical point of view and patient/social education point of view, I think that we've done a pretty good job with HIV/AIDS education in the United States. Can more be done worldwide? Of course, more can be done - especially because numbers of those affected by HIV/AIDS are continuing to increase. If anything else, World AIDS Day keeps people aware, and I think it has done a good job at doing that. Update: Thanks to Dr. Val for mentioning this post on her Getting Better site today. I appreciate it! If you haven't checked out the blog called Addicted to Medblogs, you definitely have to. The blog profile states, "I am a bored attorney who spends too much time reading medblogs at work." And, it's been around for about as long as my blog has been around. One of the many entertaining features are the interviews with prominent bloggers in New Media Medicine. MBA (MedBlogAddict) calls the featured interviews "calendar docs." I was more than pleasantly surprised when I got the e-mail that I would be the November Calendar Doc. You can see from my picture up there twittering that MBA caught me at a good time to have an interview. Update: Thanks so much to Annie and Burl Live for talking about my interview on their show November 29, 2008. The discussion on this starts near the end of the show at about 1 hour 38 minutes into the show. You can also download the entire show here or listen using the player above. No, not me, silly. Our buddy Daniel Johnson Jr and his family woke up at 3am this morning and went out to eat with his family at 4am before getting in line at the store at 5am. Little did they know that the store they were at opened at 6am - Yeesh. In the video above, he unboxes the stuff that was purchased (mostly tech stuff - cool). And, even shares a gift that will be given to his daughter at Christmas (don't tell her - hehe). So, enjoy! What's your Black Friday story? Our good blog friend Vijay is a radiologist in the state/province of Tamil Nadu in India. Like the rest of us, he learned of the situation in Mumbai via twitter. And, those of us who know Vijay were sending supportive "tweets" when we were watching all the live coverage on television/internet. Vijay recorded a Scan Man Speaks podcast yesterday to share his thoughts on the situation. Podcasts are so cool in that it really brings the blog off the page - and lets you hear the passion and emotion of the writer. The podcast is about 20 minutes long and you will need iTunes to listen to it. The last five minutes of the recording are very good. I also encourage you to subscribe to the Scanman twitter feed to get the thoughts of a citizen of India during this tragedy. GeekBrief.TV #468 from Cali Lewis on Vimeo. 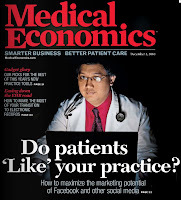 Anyway, with the economic downturn that we're in now, is this a bad time to be in the new media medicine industry? Actually not, says, tech and new media guru Leo Laporte on this edition of GeekBrief TV. Leo is probably the most well known in tech podcast circles. He does audio podcasts as well as live video streaming while recording his podcasts. In this interview, he discusses the opportunity we have right now to get ready for when the economy turns upward. What can we do right now? First, of course, ride out this downturn. But, second, this is the time to try to build audience. Because, if you have or will seek advertising, when things turn upward, you want to have a good group of readers, listeners, subscribers to present to potential advertisers when ad dollars come back to new media. I encourage you to check out the video above to at least give you an inside glimpse of new media. Geek Brief Live #469 from Cali Lewis on Vimeo. I watch and listen to a lot of tech podcasts. I was pleasantly surprised to see one of the leading tech video podcasts, GeekBrief TV, cover a recent medical conference which highlighted new media. Cali Lewis, the host of the podcast, stated that this is the first GeekBrief devoted to all med techie stories. I cannot tell you how happy I was to see this. Hopefully, as the medical blogosphere, er, New Media Medicine, continues to grow and mature as a sector of new media - coverage for all the great stuff we do will continue. I also encourage you to check out Cali's entire presentation at this conference via iTunes U. In this presentation she opens with how she and her husband began with only an idea and how it evolved to one of the most popular tech video podcasts out there. Then, they record this video podcast right in front of the live audience. Finally, they review some of the equipment that they use (very cool for me to see). Thanks to GeekBrief for covering a little medicine in their show. I hope to see more med topics! Following the interview, thanks to Enrico, MJRN, and Kim for calling in and making the show entertaining for me and for those in the live chat room. Did announce that not only is Enrico hosting Grand Rounds in two weeks, he will also be guest hosting my show in two weeks. Meanwhile, I will be a guest on The Guys Podcast in two weeks. Thanks to Enrico for stepping in for the hosting duties. Also, I was happy to announce that Kim will also be guest hosting my show - probably in January sometime. So, I'm very happy that the show is going to be branching out and welcoming guest hosts. This will add a whole new dimension to the show - and hopefully more engaging, entertaining, and informative for you. Finally, also wanted to announce that there will be a Podcamp Ohio show on December 11th. And, The Doctor Anonymous Christmas show will be December 18th. I have some ideas in my head on the show format. Plus, finding possible guests for the show will also be fun. But, for now, Happy Thanksgiving next week to all my USA readers/listeners. There will be no show next week. The next show will be December 4th with Enrico. Have a great weekend! The Doctor Anonymous Show (see video post above) is happy to welcome Mr. Michael Carroll from UnitedHealthGroup and we will be talking about the website UHC Medicare Solutions which is designed to provide seniors and caregivers with easy-to-understand Medicare information to help beneficiaries match their health-care needs with the right Medicare plan. Following our interview, I will make a few announcements about the Dr. A December shows. I'll also mention some items with regard to Podcamp Ohio 2. There were also a few interesting news stories this week including the reports that "primary care docs will be quitting," the anticipated naming of the Secretary of Health and Human Services, the Motrin Ad Controversy, and whatever else comes up. This is not a political blog. However, it's kind of interesting seeing the reports of the transition team come out of Chicago. One of the many things I'm proud of this country is this - In no other country in the world will you see a transition to a new government run so smooth. You see stories around the world that sometimes involve weapons when a new government comes to power. Anyway, just wanted to comment on who's probably going to be the new Secretary of Health and Human Services. According to the CNN report above, it will be former Senator Tom Daschle, who is currently at a law firm in Washington, DC. (Undoubtedly this is a move consistent with the president-elect's passion to bring change to Washington hehe) The reporter in the story describes the HHS Secretary position as the nation's "Health Czar." Anything health policy related goes through HHS, including things like Medicare policy. During this election cycle, it was pretty apparent where the Democratic party would like to take American health care. The seeds are carefully being planted. In the report above, they state that the former majority leader was frustrated that he could not get a universal health care bill passed. It also states that he sees a "historic" opportunity especially since the White House and the Congress is controlled by the Democrats. If their goals are met, I see more primary care physicians (like myself) being unhappy with the bureaucracy related to the US health care system. This week, The Doctor Anonymous Show is going to have a little different conversation. Instead of interviewing a blogger or podcaster, we'll be talking about the issue of Medicare - which is a pretty complicated subject. If you know completely nothing about the subject and need a quick thumbnail sketch of things, I recommend this link from WebMD. Our guest this week will be Mr. Michael Carroll whose title is Vice President - Portfolio Marketing at Ovations which is part of UnitedHealth Group. We're going to be talking about a new website called UHCMedicareSolutions.com - and this shows UnitedHealth Group Medicare products and services including Medicare Advantage, Part D prescription drug and Medicare Supplement products. This is a key time for companies with Medicare Advantage products. Why? Because between November 15th (last Saturday) and December 31st, this is the best time to change to a Medicare Advantage plan from a different company. So, until the end of the year, those in the Medicare demographic will see a lot of media out there trying to get people to switch their Medicare product. Now, I want to make this clear. By having this guest on, I am in no way saying that I am endorsing or not endorsing this product over other Medicare products. I want to thank Luke Armour who contacted me about having Mr. Carroll on to talk about his product. Luke was formerly with BlogTalkRadio and has known my show since its beginnings. I think this is a unique opportunity for me to have a completely different conversation that is new to the show. So, join us for Show Number 60 on Thursday, November 20th, 2008 at 9pm Eastern Time. Following our conversation, I have some notes about Medicare I might talk about. And, I have a HUGE announcement that I'm going to share about a Dr. A Show coming up in December. So, you have to catch that. You can also participate in the live interactive chat room, you can call into the show to ask a question, and you can even see my shining face on the live web cam. Exciting, I know. See you for the show! In the above CNN video, you can see how fun it is on the shores of Lake Erie yesterday and today. Now, granted, I don't live up on the shoreline where Ashtabula is. But, all those snow squalls are only an hour drive north of me. It's going to be fun tonight in Buffalo tonight when the Browns take on the Bills. Also, shout out to Luke Armour who gives us a mid day picture from the East Side of Cleveland. Gotta love NE Ohio weather! Thanks so much to Øystein Horgmo from the blog The Sterile Eye for being on Show 59. (Check out the video post above - sorry that the sound is a little overmodulated) (And, you can listen to the show on the player above - or download the podcast here) He called in live from his home in Norway where it was 3am. His blog is about medical photography and he also takes photos for this Norwegian cancer site (I think he said that they were thinking about making an english translation of the site at some point). Patient privacy issues are something that was interesting to the chat room. And, he answered questions on how patient consent was obtained before taking photos - and he does video as well. His blog is one year old now, and he gave some advice for new bloggers out there on how to possibly continue as long as a year with your blog. Thanks so much to those who called into the show including Marq, Dr. Rob, Ramona, and Vijay (hope that I didn't forget anyone). At one point Øystein (Norway), Vijay (India), and myself were all on the call at the same time. It sounded like we were in the same room, even though we are continents apart. (Even Crzegrl, host of this week's Change of Shift, listened live from Barcelona, Spain) Very cool. Near the end of the show, we received an update from our friend Kevin Haynes who lives in New York State. You may remember Kevin called in to Show 54 where he told the story of the family of Sgt Toland (CNN report here). Kevin shared how the community came together to further help this man and his family. (I apologize for not having the details here. I have to re-listen to the show and hopefully will post the update here). I just haven't been feeling good this week - a little bit under the weather - and the stress of getting back to work after a week of vacation. That's why I haven't been on Twitter that much and that's why I didn't to any video posting this week (other than this post). At least, I'm not on call this weekend, so I'll be able to try to get myself a little better. Physician, heal thy self, right? Well, have a good week and weekend everybody! The Doctor Anonymous Show is happy to welcome the author of the blog called "The Sterile Eye." His name is Øystein Horgmo and he is a medical photographer who lives and works in Norway. He just celebrated his one year blogiversary. And, he'll be calling in live to the show where it will be in the middle of the night there. 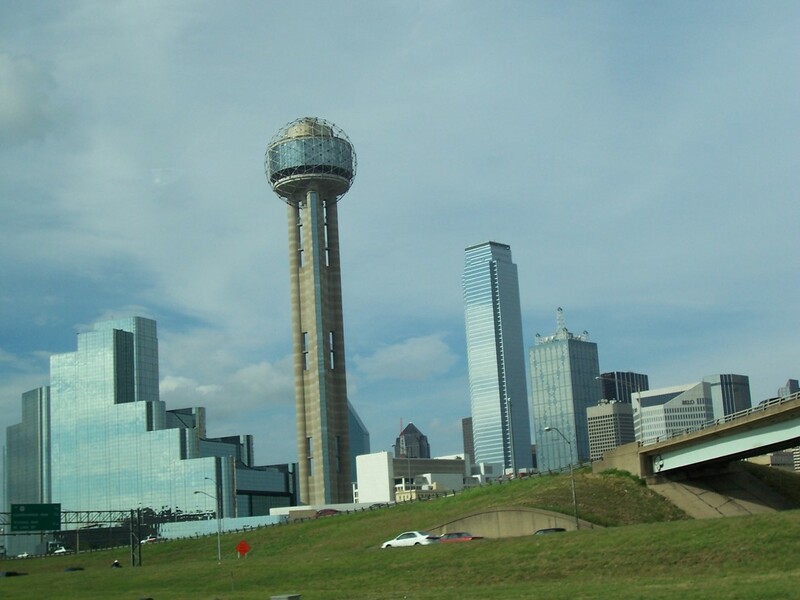 Following the interview, I'll do a little wrap-up of my week in Dallas last week. For my final show from Dallas this week, I'm helping to pitch in for a great cause. Our BTR buddies, Annie and Burl, are going to be emceeing a breast cancer fundraising event for the "1 in 8 Motorsports Foundation." The event itself takes place all day in Crystal Lake, Illinois. For more details on this (including the musical acts who will be performing), I encourage you to check out this link on their website. My show is going on at 9:30pm Eastern Time. They will broadcast two hours before my show, and then two hours after my show. I'm just hoping to continue the momentum from their first two hour broadcast and continue that into their next two hour broadcast. What will I be talking about? Well, basically, I'll be talking about their first two hour broadcast, and hopefully taking some of your phone calls about how much fun you're having during their event. And, if I can pull them away from the bar, hopefully Annie and/or Burl will call in during their intermission. I also wanted to recognize a few other BTR hosts who are helping with the event. MarQ, who called into my Friday night show, is launching a new BTR show called Katie 80. He will be broadcasting at 6pm eastern time. And, my buddy Buzzworthy Radio, whose family has been affected by breast cancer, will be broadcasting at 5pm eastern time. Finally, Dr. Blogstein from the Radio Happy Hour contributed items to the silent auction for Sat nite's event. This is BTR coming together for a great cause. See you tonight for the show! Update: Thanks to those of you out there who were able to join me tonight for Show 58. (You can listen to the show above on the player. And/or you can download the show by clicking here.) We had a great time just hanging out. I talked a little bit about breast cancer during the show. And, about half way through this short 30 min show, Burl called in to give us an update. The show closed with a conversation with RockDog. I also encourage you to listen to the show by BuzzWorthy Radio. He tells the story on his show of how breast cancer hit close to home to him. Great job Buzzy. Also doing a special show tonight was Marq who premiered a new show called Katie 80. Congrats to Annie and Burl for all your work on this project. I was glad to pitch in - even just a little bit. Finally, I'm on my way home tomorrow from Dallas. Keep track of my travels on my Twitter account. It was a great time away from home and away from work. But, it's definitely time to head home and to get back to real life. Thanks to all of you out there for supporting my shows this week from Dallas. I really appreciate it! For the third show in three days, I am still here in Dallas, Texas broadcasting and I'm having a great week here at the conference. Tonight, I'm happy to welcome Kim from the blog As The Pump Turns to The Doctor Anonymous Show 57. She is in her first year of nursing school up there in the Pacific Northwest of the United States. She is also currently a dialysis tech. So, I'll be asking her about her transition to nursing school. And, who knows what other topics will come up. Update: Thanks so much to Kim for being on the show 57. (You can click on the player above to listen to the show, or download the show here) I had no idea that by the experience she had with her grandfather needing dialysis - this is part of the reason she chose to work as a dialysis tech. And, now, she is an advocate for those patients with kidney disease - especially those with dialysis. We also talked about her work specifically in the inner city of Seattle at a dialysis clinic. In addition, we talked about life as a first year nursing student. Thanks so much to Marq and to Annie who called into the show tonight. Did you know that our guest named her pet fish after Annie? Why? Well, you'll have to listen to the show to find out. Thanks also to those of you who joined the show for the first time this evening. I really appreciate it, and I hope you're able to come back and enjoy future shows. Thankfully, no technical glitches on the show tonight. I have to tell ya. I probably said this before, but I may have bit off more than I could chew doing four shows in four nights - plus this conference I'm at. My buddies have already "yelled" at me for not being able to at least hang out with our buddy Grunt Doc while I'm here. And, that's totally my fault. I'm an idiot for not balancing my time right on that. Ugh. Tomorrow is my last full day here in Dallas. One more long day of lectures and one more show tomorrow night. I'll have details on tomorrow's show coming up soon. Oh yeah, I forgot to reference in the show that the opening music for tonight's show was from the TV show "Dallas." A bad inside joke thing. Yeesh. Let me ask you a question, are you like me and feeling that post election exhaustion? Actually, I have been feeling election fatigue for months, but that's another story. Anyway, why not let me help you get back to "normal" life (whatever that is), by hanging out with me on The Doctor Anonymous Show. Ladies Week begins tonight and I'll be in Dallas broadcasting live! Our guest will be Kat. She is a nurse in a neonatal intensive care unit in the southern part of the United States. We're going to be talking about her with and after Hodgkin's Disease. She is definitely a survivor and you have to tune in for this inspiring story. Kat is the host of the "Llanview Lowdown" on BlogTalkRadio. And, she is also a co-host on "Annie and Burl Live" also on BTR. She is also Warrior Kat on Twitter. Update: Thanks so much Kat for being on Show 55! Unfortunately, I was having some technical difficulties during the show and we were not able to start the interview until about 30 minutes into the show. I was trying to fill time by sharing my "traveling to Dallas" story. I think I'm used to a lot more bandwidth at home, and the small connection here at the hotel overwhelmed my system and possibly BTR as well. Maybe tomorrow night, I'll hold off on the video stream. Hmm. Anyway, after we were able to be connected, she told her story of how she was diagnosed with Hodgkin's Disease, her treatment course, and, finally, and most importantly, how she overcame the cancer and what she learned from the experience. A very inspiring story. 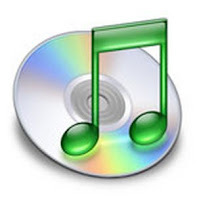 Check it out on the player above and/or click here to download the file. Tomorrow, I'm off to Dallas for a conference the rest of this week. Want to keep track of my travel adventures? Then, make sure to subscribe to my twitter feed. I'll be sending twitters in route to the airport, at the airport, during my lay over, and finally when I get to my destination. I mean, hey, you need something to distract you from work tomorrow. Why not hang out with me! This is a very special week at The Doctor Anonymous Show. From my Dallas hotel's internet connection, I plan to have five shows in four days this week. What am I nuts? Probably. It is Ladies Week on the show! On November 5th at 9pm eastern time, I'm happy to welcome Kat who is host of "The Llanview Lowdown" on BlogTalkRadio. She is a nurse in the neonatal intensive care unit. In addition, she is a survivor of Hodgkin's Disease. We'll talk about this how it has changed and guided her life. Then, in our usual Thursday night time slot, on November 6th at 9pm eastern time, we welcome Mimi Lenox who is founder of the BlogBlast for Peace movement. Her blog is called Mimi Writes and there she describes what the movement is all about. You may remember that Mimi appeared last year on the show as one of the first guests on the show. It will be great to talk with her again. I encourage my blog friends to look at getting a peace globe for yourself and place it on your blog on Thursday. In a special Friday night show, on November 7th at 9pm eastern time, we welcome Kim from the blog called As The Pump Turns. She is a very active member of the new media medicine community. She is currently a dialysis tech, but is currently also a first year nursing student. We'll talk about her blog and how it's going in school at this point. Finally, to culminate things, on Saturday, November 8th, I'll be having two shows. The first will be at 7pm eastern time and run for 30 minutes. I'll be reviewing my week in Dallas and talk about anything else that comes up. Then, I'll be checking out the 2 hour broadcast from the Annie and Burl Live show where they will be emceeing a breast cancer benefit in Illinois by the Motorsports 1 in 8 foundation. Following this two hours, I'll be broadcasting my second 30 minute show at 9:30pm eastern time until the top of the hour. That is when Annie and Burl will start another two hour broadcast from the benefit event. I know this sounds confusing. Basically, they are broadcasting for four hours and I will have a quick show during their intermission. It's been interesting watching the Twitter today and the election tweets come through. It is the early afternoon as I post this. It will be very interesting seeing what happens as the evening unfolds. Me? Well, I think I'll be going to bed early. My flight leaves early tomorrow. I think I know who's gonna win anyway. Happy Election Day! News flash! Our good friend Dr. Rob has finally done a video post on his nifty new MacBook. I like the shades actually. But, why does it look like Dr. Rob is in the witness protection program? Anyway, part of his message (that is DIS-approved of at the end), is an invitation to be a part of his Grand Rounds blog carnival next week. I've been such a slug that I haven't written anything for Grand Rounds in months (what a loser I am). Maybe this week, I'll finally kick myself into gear and git-r-dun. Great job, Dr. Rob with the video post. Hope to see more!